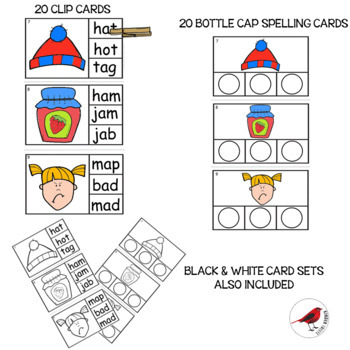 This collection of five hands-on Task Card centers for Short Vowel A words with a Consonant Vowel Consonant pattern is designed to provide repeated practice for the reading and writing of 3 letter words containing that Short Vowel A sound. 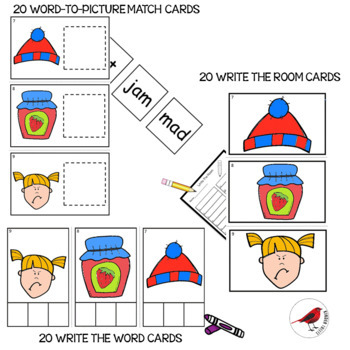 There are 5 different sets of Task Cards, with each set containing 20 practice cards. 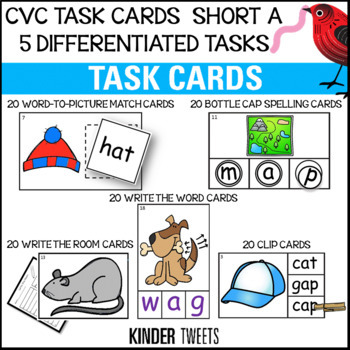 The CVC vocabulary is the same in each set, but the task changes for each of the task card sets. 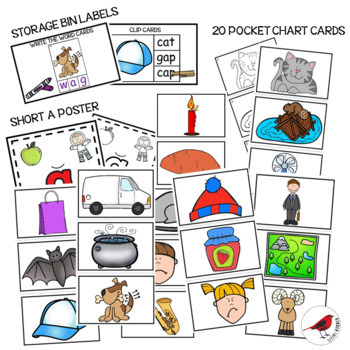 All the task card sets are available in color as well as black and white images. Just put it on your WISH LIST or “Pin It” so you don’t lose this item!